Eddie is undoubtedly one of the most traveled in our Top 50. Before he found his "Latino Heat" in 2000s WWF, Eddie really laid the groundwork for a Hall of Fame career during his tenures in WCW, New Japan and ECW. However, in the early part of the 90s he was working in the top two Mexican-based promotions of CMLL & AAA. Under the mask of Mascara Magica, Eddie fought in the CMLL up until 1992, but then voluntarily unmasked himself (gasp) to leave for AAA. 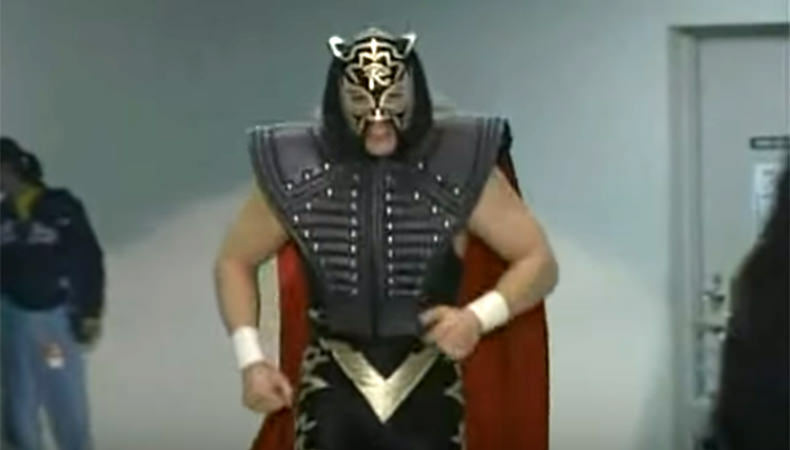 He had two solid years with AAA before going to New Japan with another mask and another gimmick, donning the mantle of Black Tiger up until 1996 which he even ended up winning their "Best Of The Super Juniors Tournament". Eddie sure stayed steady with wrestling because it was also in 1995 that Paul Heyman used his talents in ECW where he snatched the TV strap from 2 Cold Scorpio in his debut. That's when the famed series of matches between him and Dean Malenko (our #49 top wrestler of the 90s) really took flight. As mentioned before, Dean & he were pivotal in helping define ECW as a wrestling brand, rather than just an extreme brand, and having two guys like that go toe-to-toe in a two-out-of-three falls classic to cap off their extreme stay adds to the legacy of the promotion. Then began one of the most under-appreciated runs in WCW. 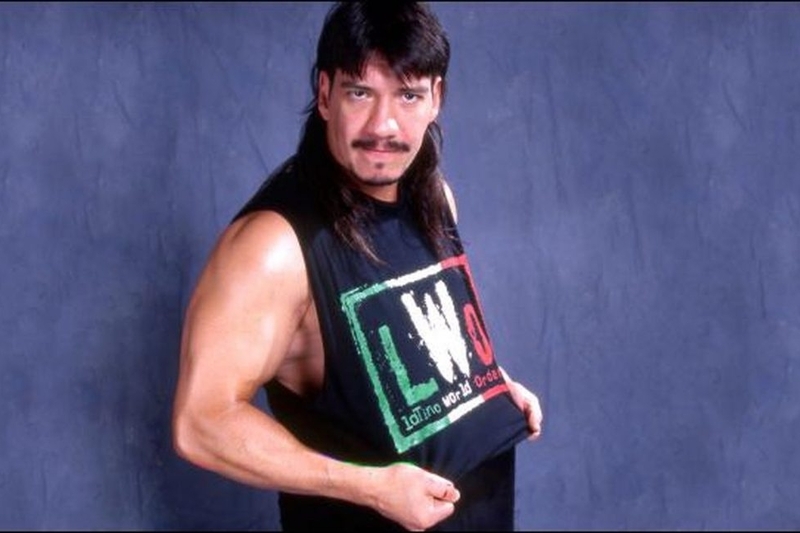 Maybe it was the extreme mullet, but as a kid, I absolutely despised Eddie Guerrero as a heel. He always cheated and he was so nasty to his poor nephew Chavo. Granted, he did try to mentor him in the ways of lying, cheating and stealing, but ultimately failed considered his son went bonkers enough to lug around a hobby horse named Pepe. Although winning both the Cruiserweight and the U.S. Championships, like most of the mid-card, Eddie was tired of not being in the main event mix. Unfortunately, he never got that shine in WCW despite being one of the most over acts in the promotion's hottest time period, but as we all know, he got his rightful accreditation in the 2000s.